On July 1st 2016, MSC Cruises, the Swiss-based world’s largest privately-owned cruise line and market leader in Europe, South America and South Africa, and Air France signed a new Fly&Cruise agreement offering two weekly flights dedicated exclusively to MSC Cruises guests between Paris-Charles de Gaulle and Havana in Cuba, from October 30, 2016 to March 25, 2017. 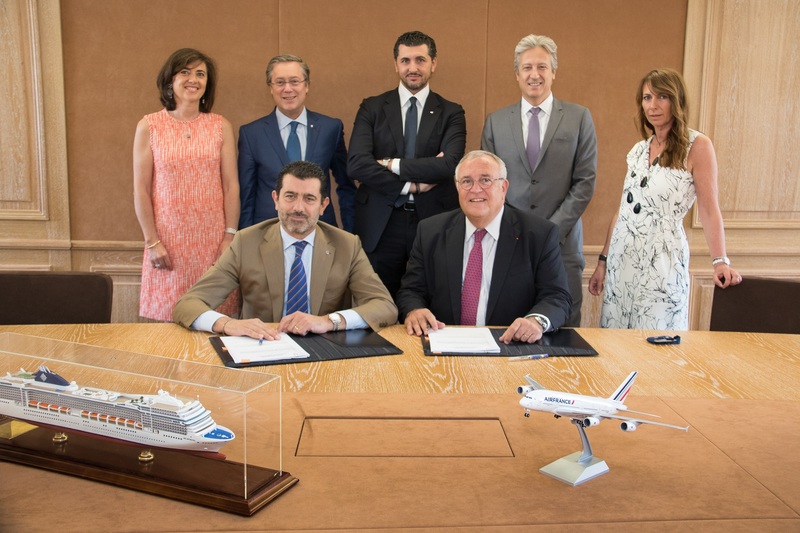 This agreement will enable a total of 10,450 MSC Cruise guests to have direct access to Cuba thanks to 36 dedicated flight rotations chartered by Air France and its Airbus A340 aircraft equipped with 275 seats including 30 in Business, 21 in Premium Economy and 224 in Economy. 19 direct flights will depart from Paris-Charles de Gaulle and another 17 flights from the French regions* as a continuation of Paris-Charles de Gaulle. MSC Cruises has seen growing demand for its Caribbean cruises since it added Havana and Isla de la Juventud to its winter itineraries last year. The Company has now agreed to strengthen its partnership with Air France, which has existed since 2012, to provide flights to Cuba for a second consecutive season. The twice-weekly service will offer guests easy access to MSC Cruises’ Caribbean itineraries, on departure from all French regions*. With a wide range of Fly&Cruise packages, guests can choose to travel in one of Air France’s three cabins, Business, Premium Economy or Economy. They will be able to check in two pieces of hold baggage and also take two cabin bags, as well as earn miles via Air France-KLM’s Flying Blue loyalty program. MSC Cruises’ Fly&Cruise packages offer guests a seamless travel experience, they simply check in their bags at their local airport and they will be delivered directly to their cabin on board the ship. The packages also include transfers to and from the airport, which means that guests are taken directly from the airport to the ship. Patrick Alexandre, EVP Commercial-Sales & Alliances at Air France-KLM also declared: "In addition to the two daily flights to Havana operated by Air France next winter, we have come up with a tailor-made offering together with MSC Cruises, with 2 dedicated transatlantic flights every week and customized services for cruise passengers. 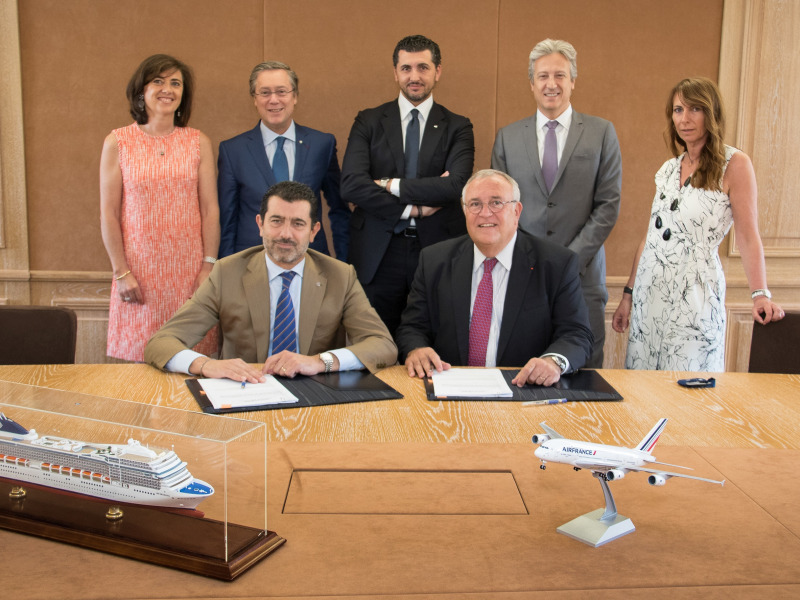 We want Air France flights to be part of their memories of an unforgettable holiday and are proud to be strengthening our cooperation with MSC Cruises every year." Last year, MSC Cruises was the first international cruise line to homeport in Havana, Cuba. This year the Company will be adding a second ship, MSC Armonia , to join MSC Opera at its home-port in Havana in a move to double its offering in the region. Both ships went through a complete upgrade in 2015 as part of a €200 million overhaul and upgrade programme. Air France-KLM is the leading Group in terms of international traffic on departure from Europe. In 2016, it offers its customers access to a network covering 320 destinations in 114 countries thanks to its four brands Air France, KLM Royal Dutch Airlines, Transavia and HOP! Air France. With a fleet of 534 aircraft in operation and 89.8 million passengers carried in 2015, Air France-KLM operates up to 2,200 daily flights from its hubs at Paris-Charles de Gaulle and Amsterdam-Schiphol. *Bordeaux, Clermont-Ferrand, Lille, Lyon, Marseille, Metz-Nancy, Montpellier, Mulhouse, Nantes, Nice, Strasbourg, Toulouse.